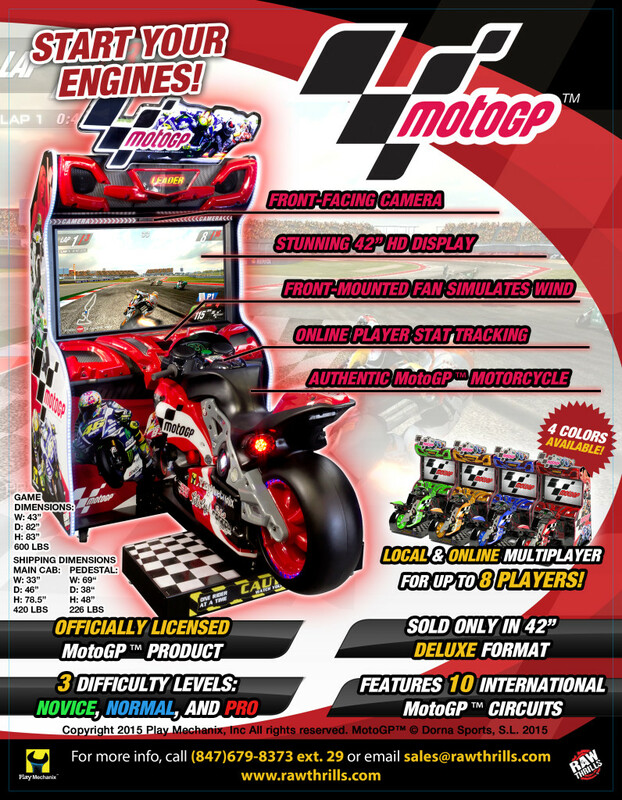 Start Your Engines: OFFICIALLY LICENSED MotoGP Arcade Game is Almost Here. – Raw Thrills, Inc. Tagged Arcade, Arcade Gaming, Casey Stoner, Dani Pedrosa, Eugene Jarvis, George Petro, IAPPA, Jorge Lorenzo, Launch, Marc Marquez, Moto Sports, MotoGP, Motorcycle, Motorcycles, New Release, Officially Licensed, Play Mechanix, Raw Thrills, Trade Shows, valentino rossi. Bookmark the permalink.